Did you know that Medicare has a special program to help you with your prescription drug costs? Most people have to actually apply for the program, but once you are accepted, you get some benefits that include exemption from the donut hole and exemption from late enrollment penalties. There are 4 different levels of Medicare Extra Help (MEH), which is also known as Low-Income Subsidy or LIS. Take a look at the chart below, but we’ve also included some details on the program. *** Income includes money you receive from Social Security, wages, dividends, alimony and rental property. It does not include funds acquired through loans or a reverse mortgage. **Assets include bank accounts, IRAs and the value of investments, and real estate (except your home). They do not include your home, vehicles, personal possessions, burial plots or up to $1,500 in savings intended for funeral expenses. Asset limit also includes the allowed amount for burial expenses: Single, $1,500; Couple, $3,000. If you qualify for Level 1, you will get a drug plan premium subsidy of 100%, you will have a zero deductible, and your copays will be $2.65 for generic drugs and $6.60 for brand name drugs. Once you meet the Out of Pocket threshold your copays will be reduced to $0. If you qualify for Level 2, everything is the same as level 1, EXCEPT that your copays will be $1.20 for generic drugs, and $3.60 for brand name drugs. If you qualify for Level 3, everything is the same as level 1, EXCEPT that your copays will be $0 from the start. If you qualify for Level 4, you will receive a PDP premium subsidy of 25-75%, your drug plan deductible will be $66, your co-pay will be 15% of the drug cost and once you hit your Out of Pocket Threshold you will pay 2.65 for generic and $6.60 for brand name drugs. No Donut Hole! No late penalty! Remember, for any level of Low Income Subsidy, you will not have a donut hole to contend with AND if you signed up for drug coverage late; you will not have to pay the late enrollment penalty. You will also have a continuous special enrollment period, so you can change plans outside of the annual enrollment period (AEP) if you need to. Now you may be thinking these are great benefits, especially the part about not having to worry about the donut hole — but how do I qualify Medicare Extra Help (MEH)? 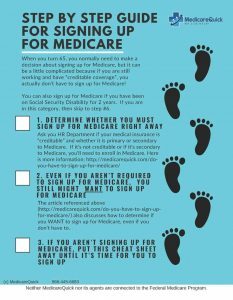 There are several methods to apply for Medicare Special Help. We recommend that you apply for Medicare Special Help, even if your assets or income are a little higher than what is shown, because there are some exemptions that may make you eligible. If you qualify, the extra benefits that you receive will most likely far outweigh any time that you spent applying for the program. If you have questions regarding Medicare Special Help feel free to contact us at 866-445-6683 or fill out our contact form and we will contact you.